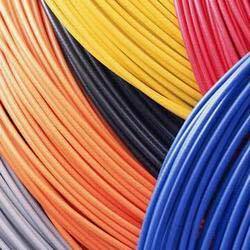 PVC Wires finds its applications in various electrical appliances used in commercial and non commercial sectors. These wires are PVC insulated Wires made from high grade materials like carbon, aluminum etc. Our PVC Wires are demanded in the market due to its flexibility, long life and excellent insulation properties. Being a renowned PVC Wire Manufacturer and Supplier from Tamil Nadu (India), we can customize the length and width of our product as per the customer’s specifications.